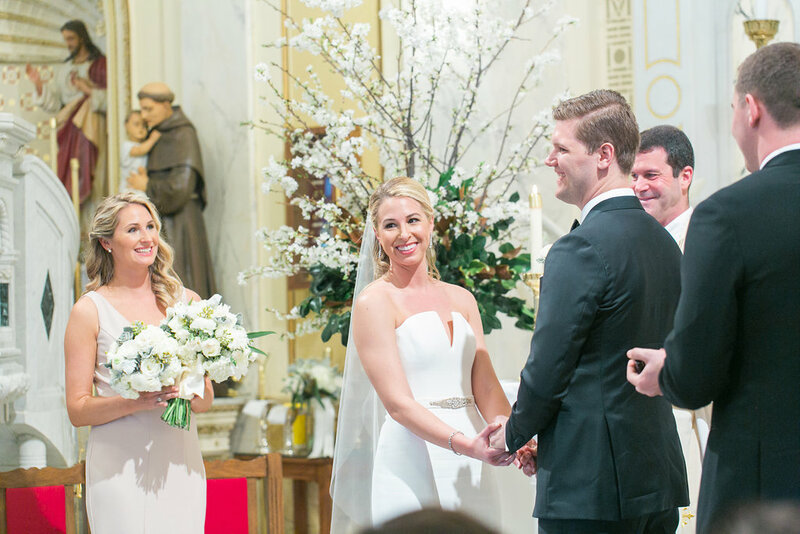 Today’s bride Amanda always knew she wanted a DC wedding. 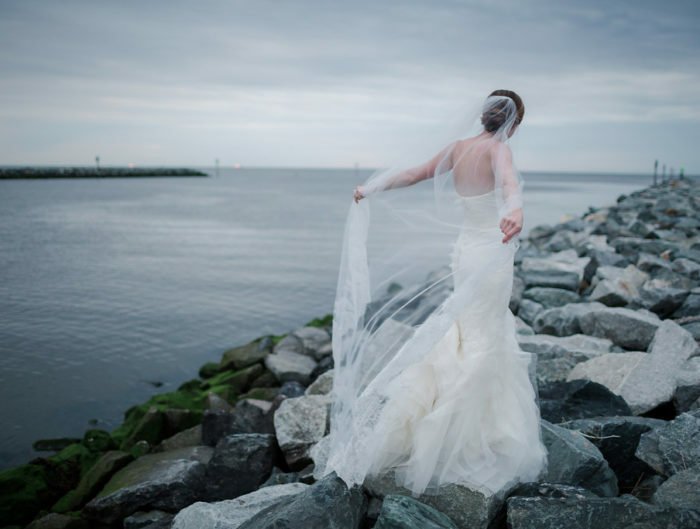 She grew up in the area so it only makes sense! 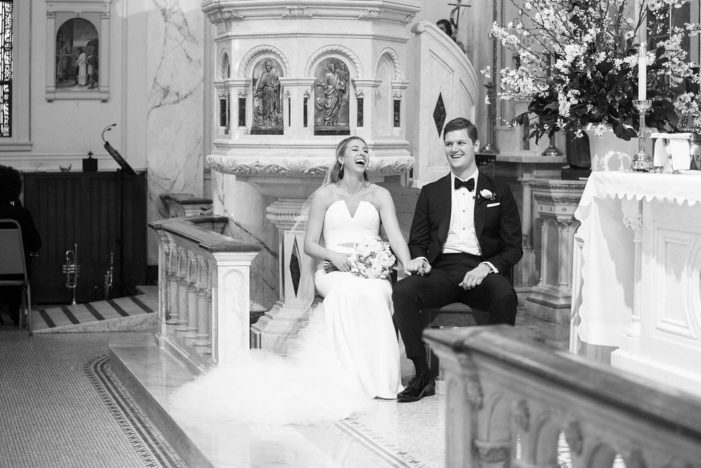 Her groom, however, did not. 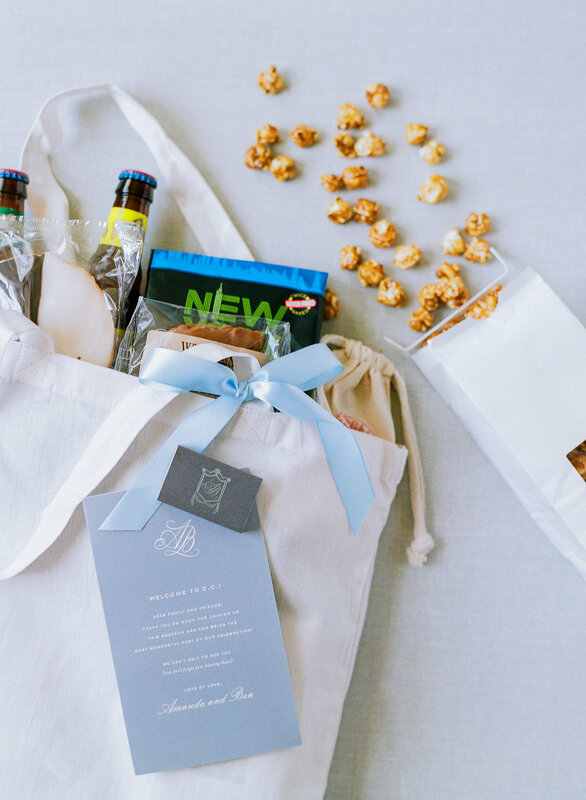 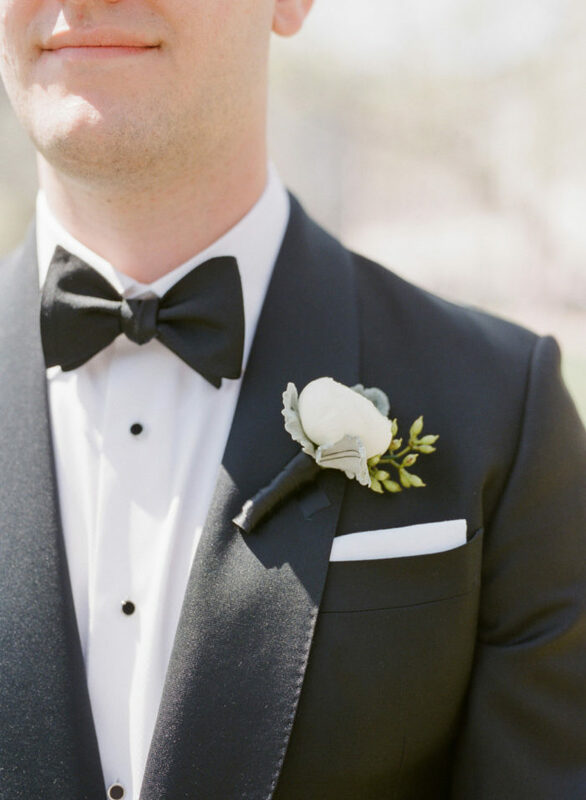 Ben’s home state is Mississippi and the couple knew they wanted to include his southern roots in their classic National Museum of Women in the Arts wedding. 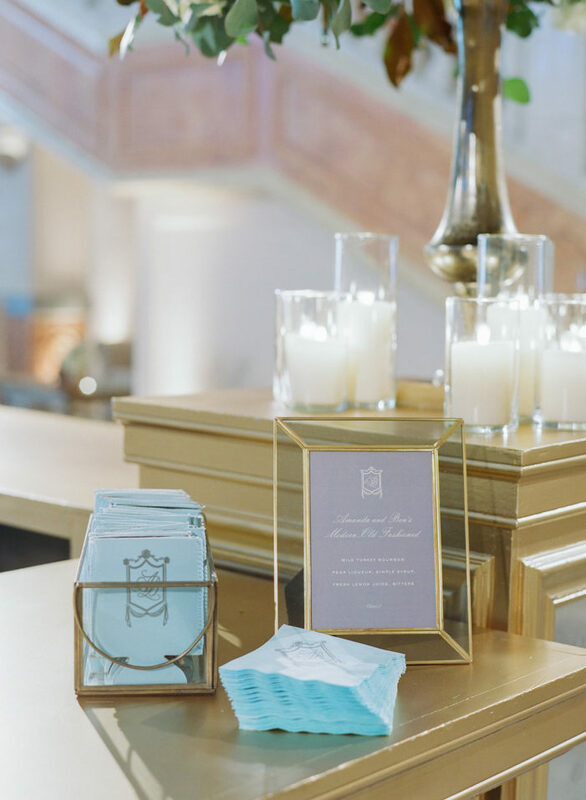 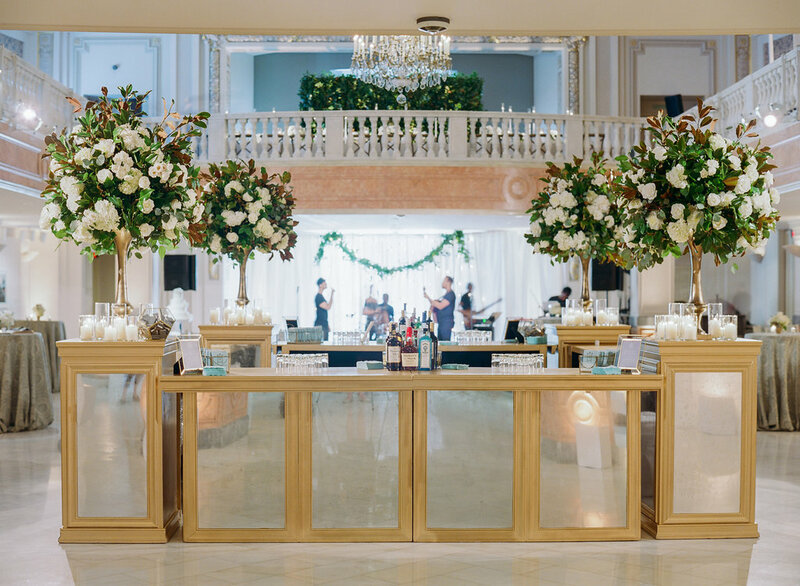 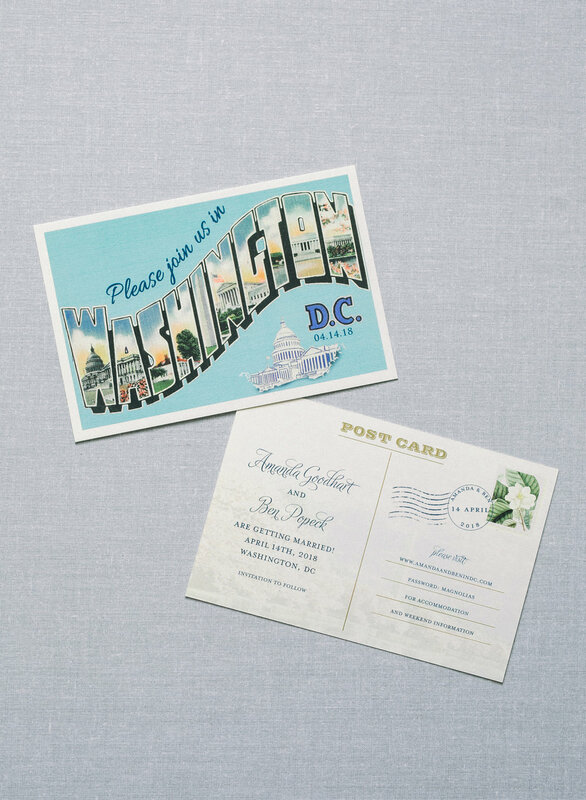 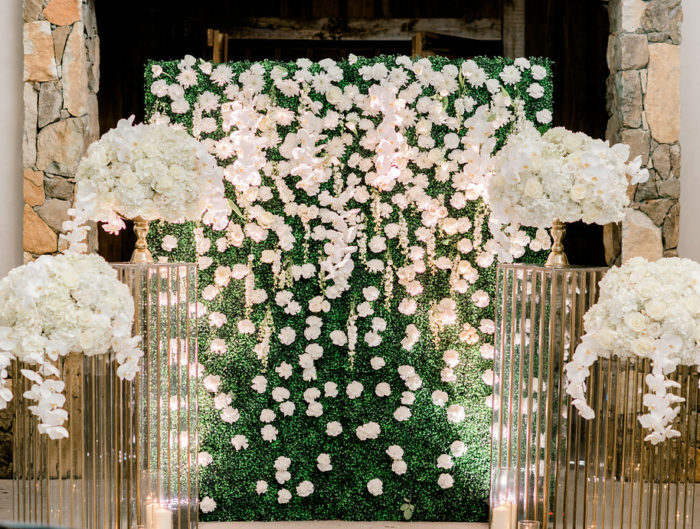 To achieve this, they picked an iconic DC venue and brought in some elements of the outdoors and the south to make it feel more relaxed. 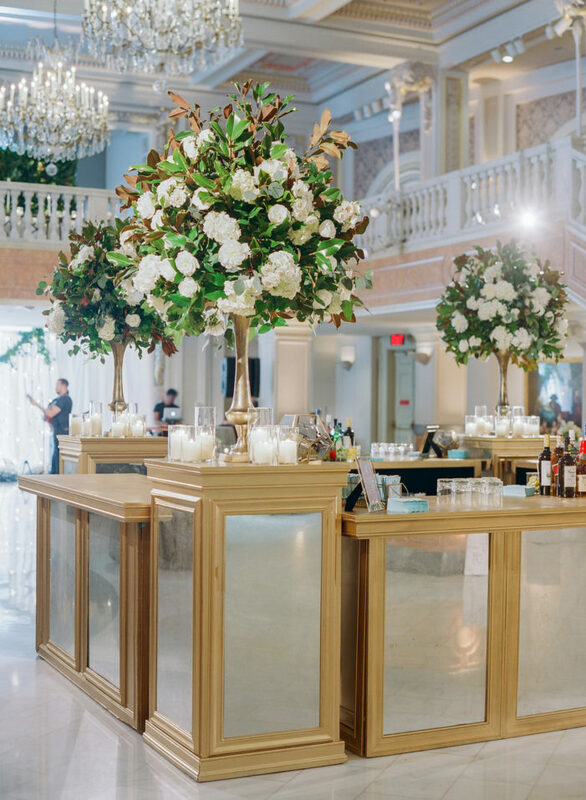 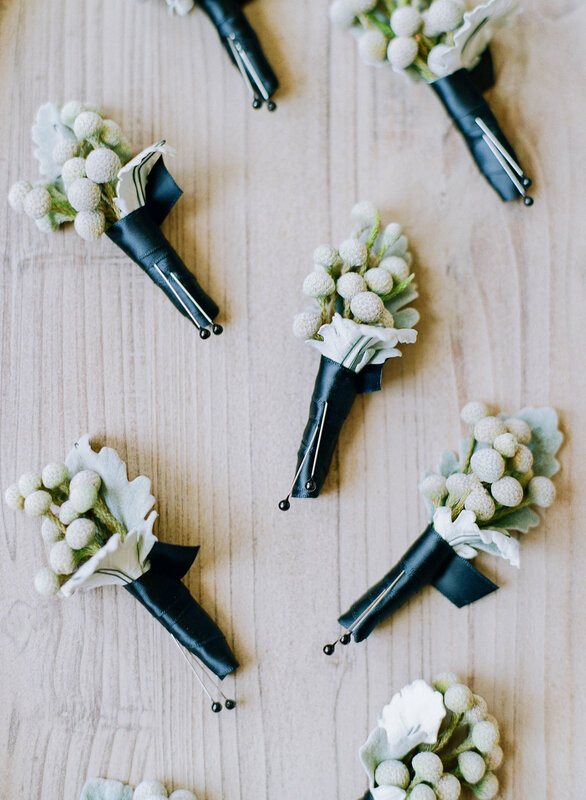 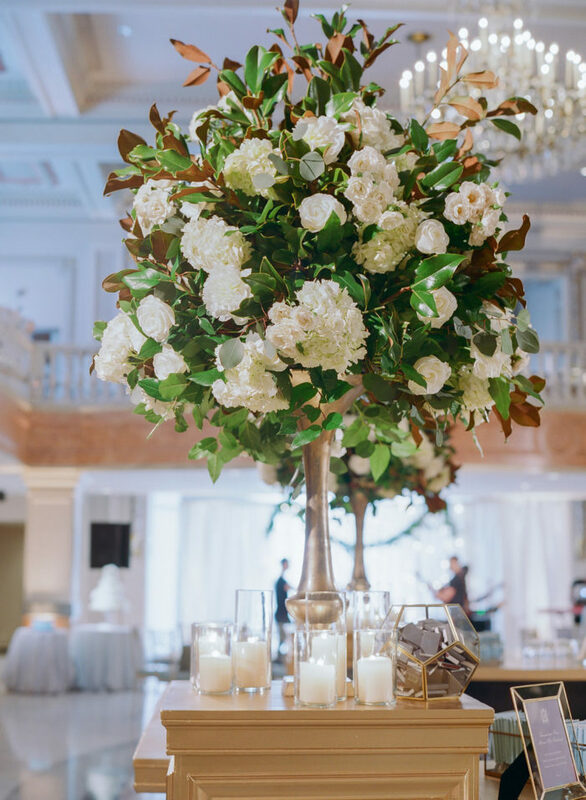 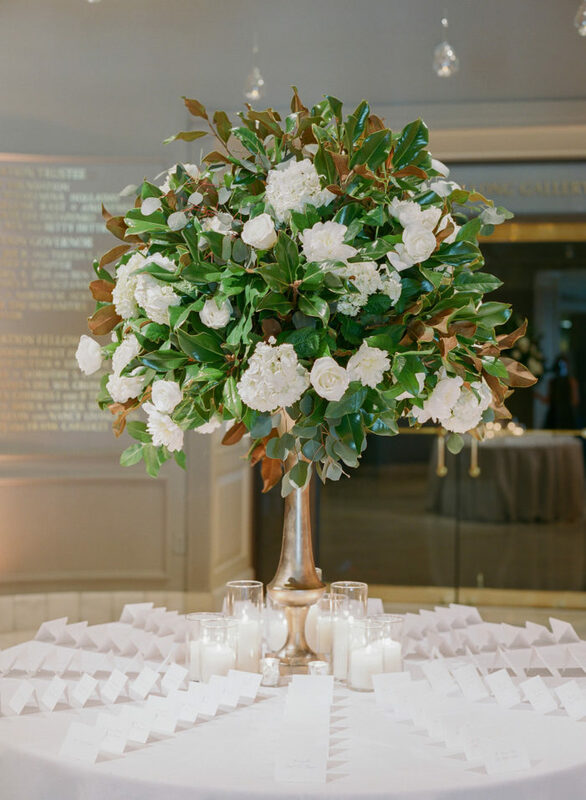 They incorporated magnolia leaves into the bouquets by the bar, which is the state tree of Mississippi. 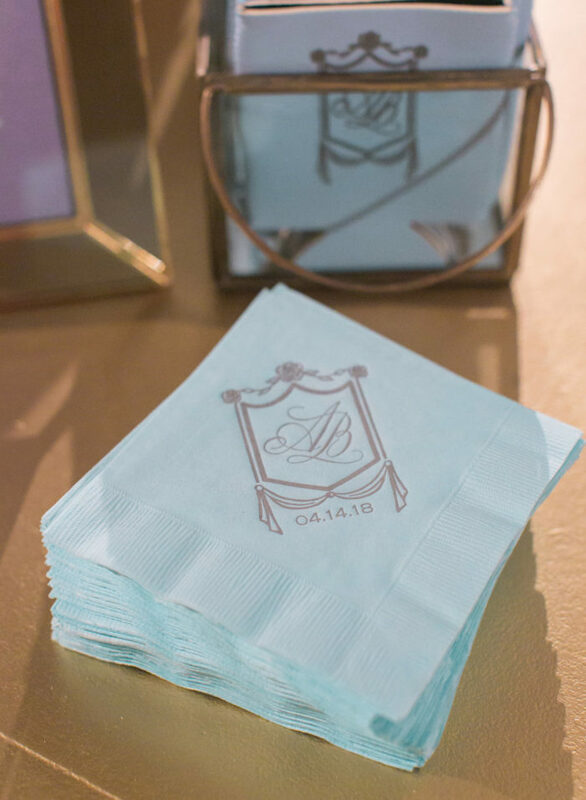 What a sweet nod to Ben’s home! 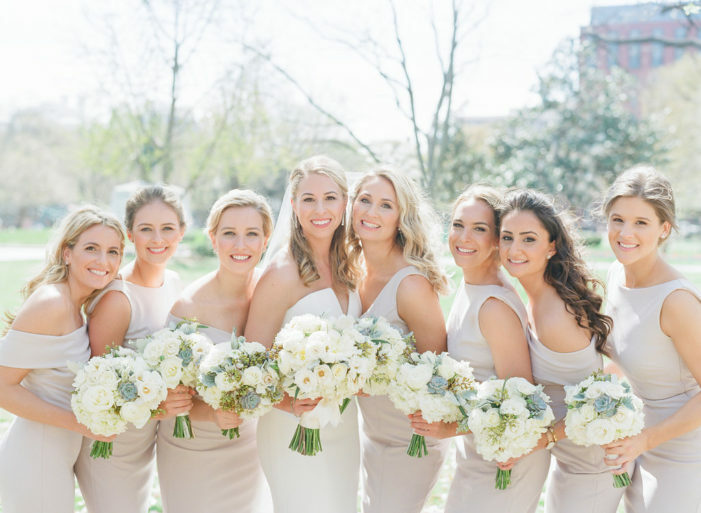 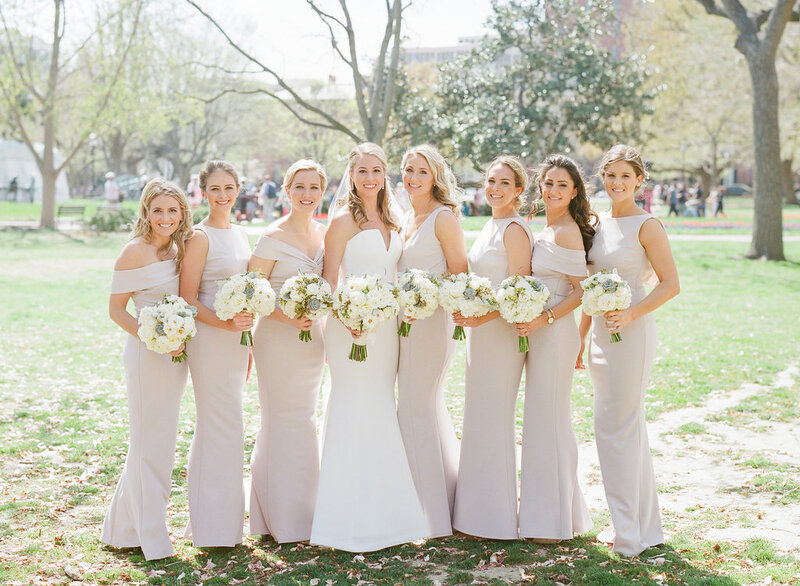 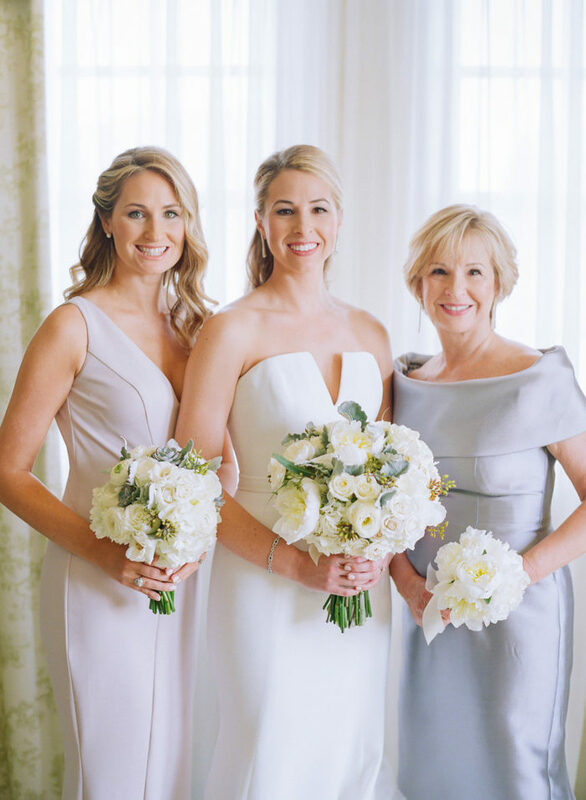 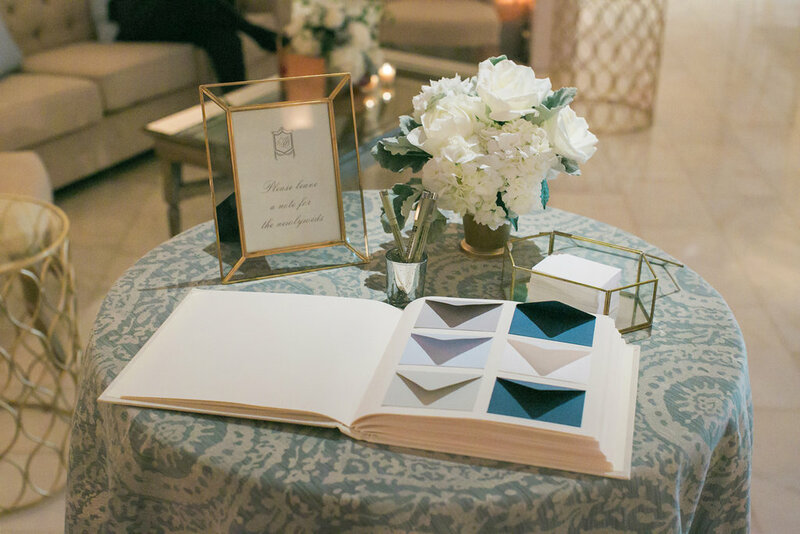 Amanda wanted neutral soft colors throughout the day so she chose a dusty pink for her bridesmaids and added in elements of light blue, grey, and white throughout. 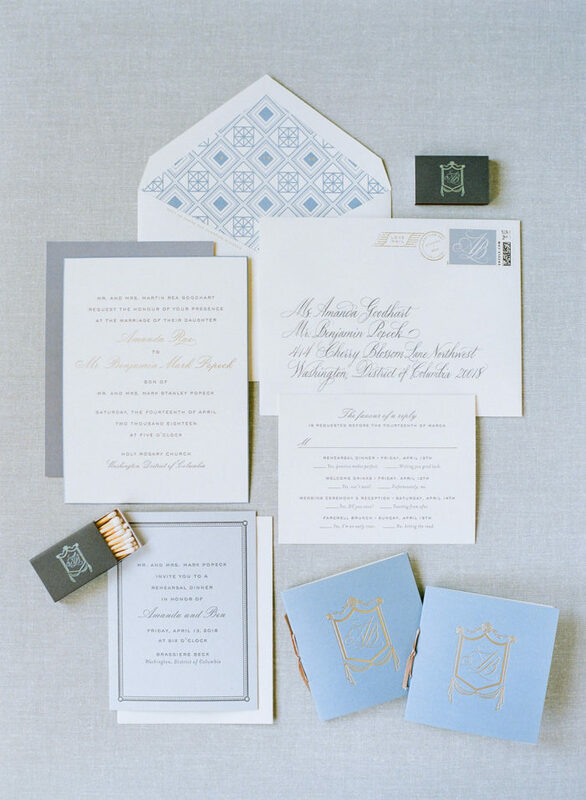 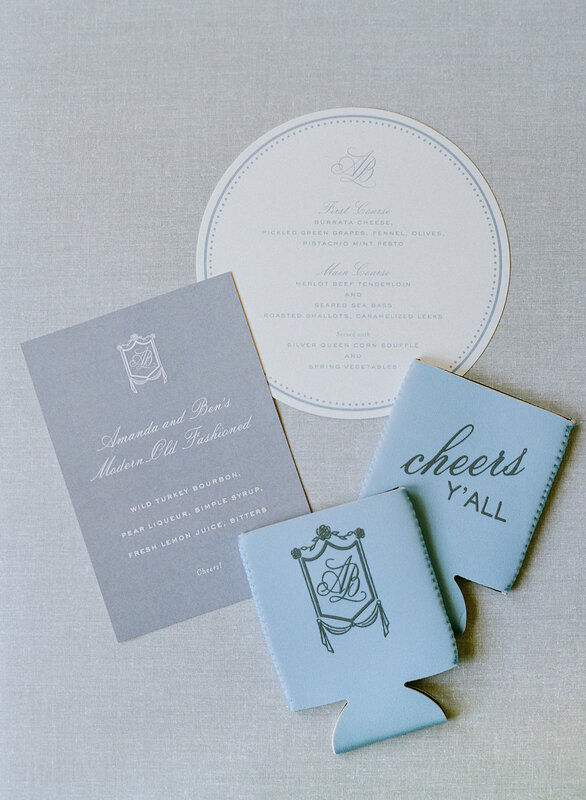 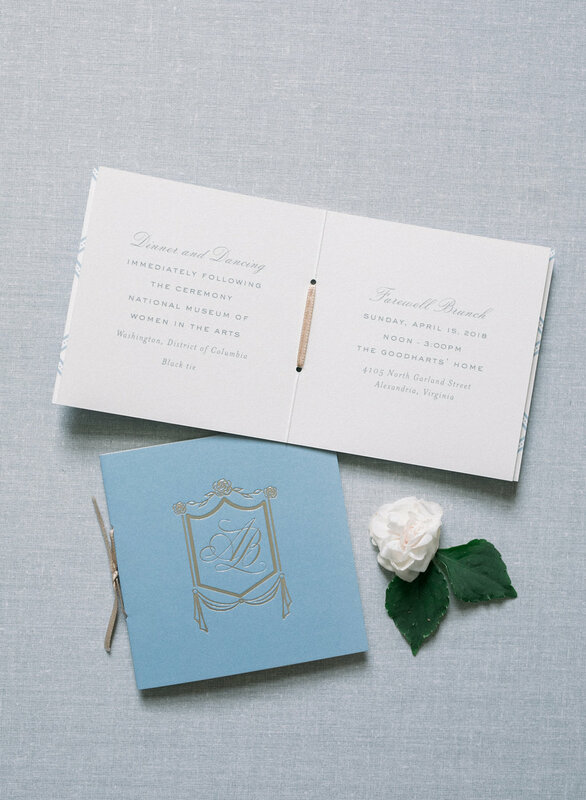 Maybe they were drawn to the blue because it is close to Columbia blue – their alma mater! 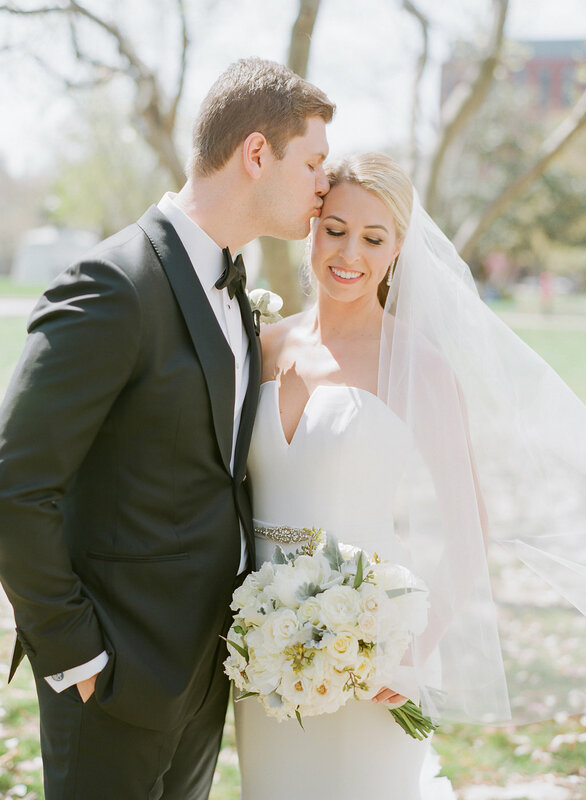 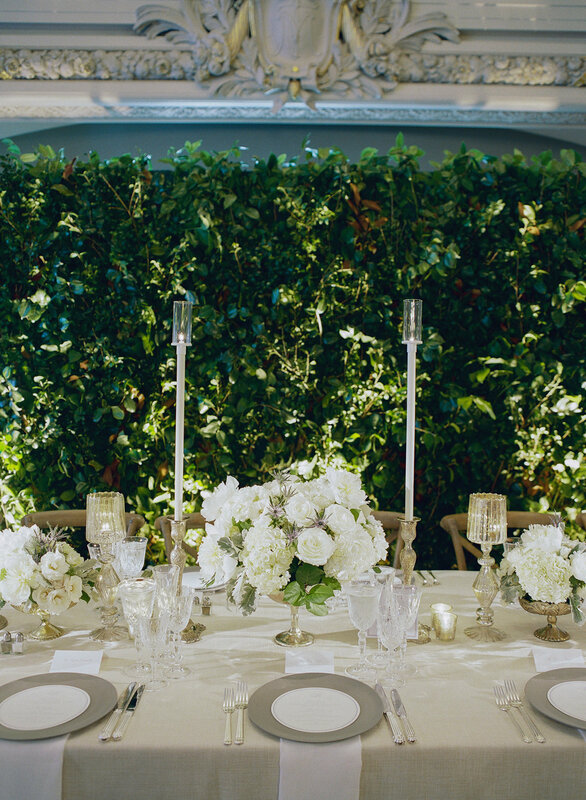 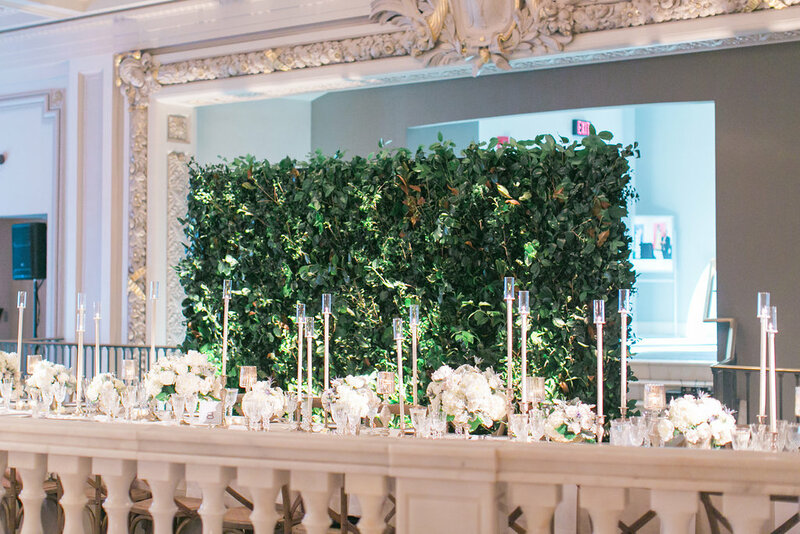 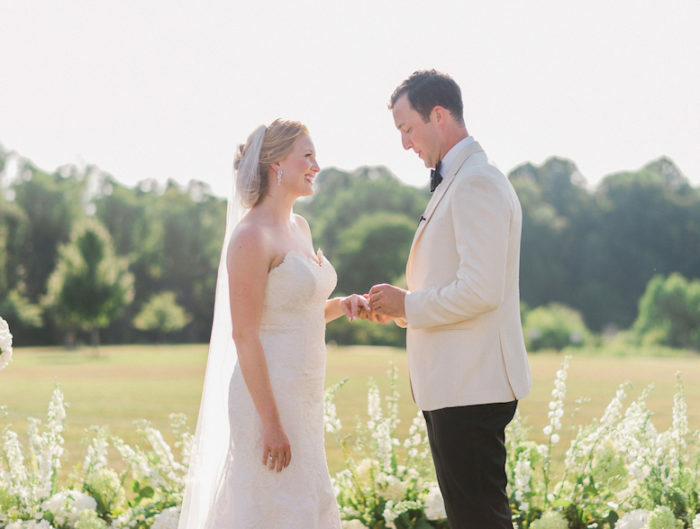 We absolutely adore their lush greenery backdrop, the bride’s modern, form fitting dress, and their metallic details. 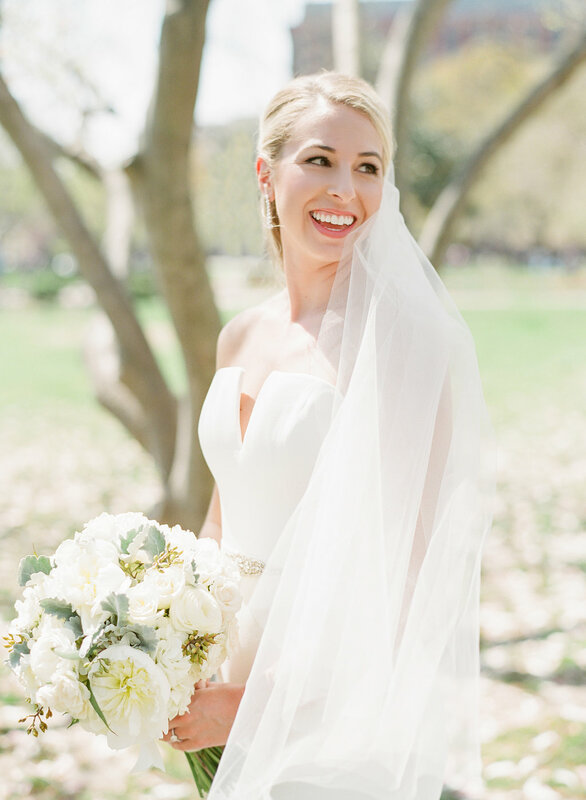 Such a stunning day! 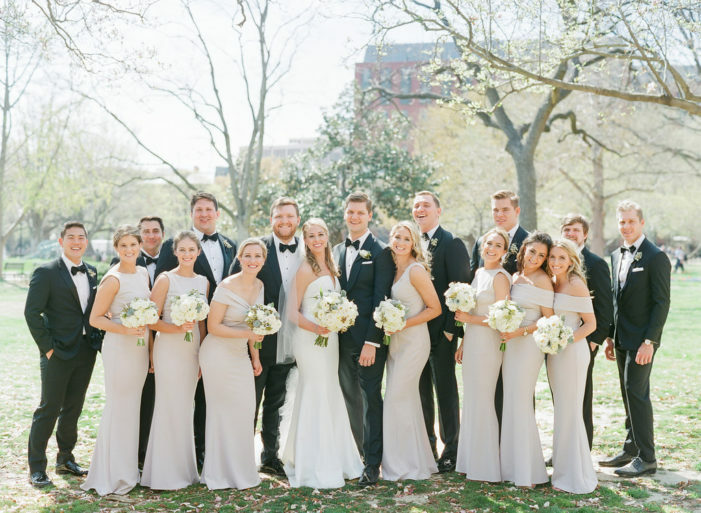 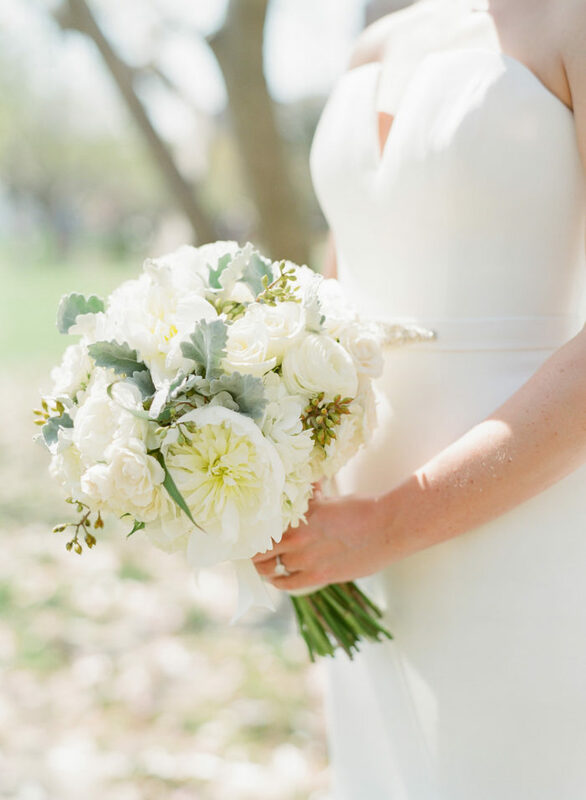 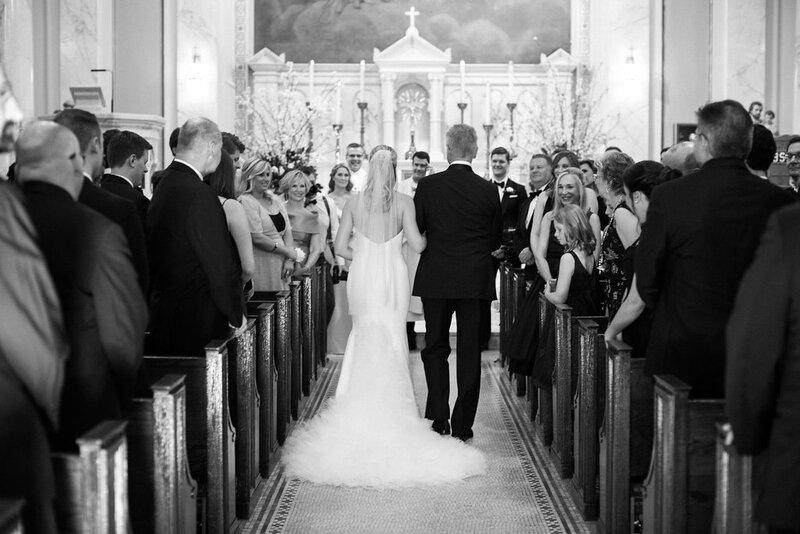 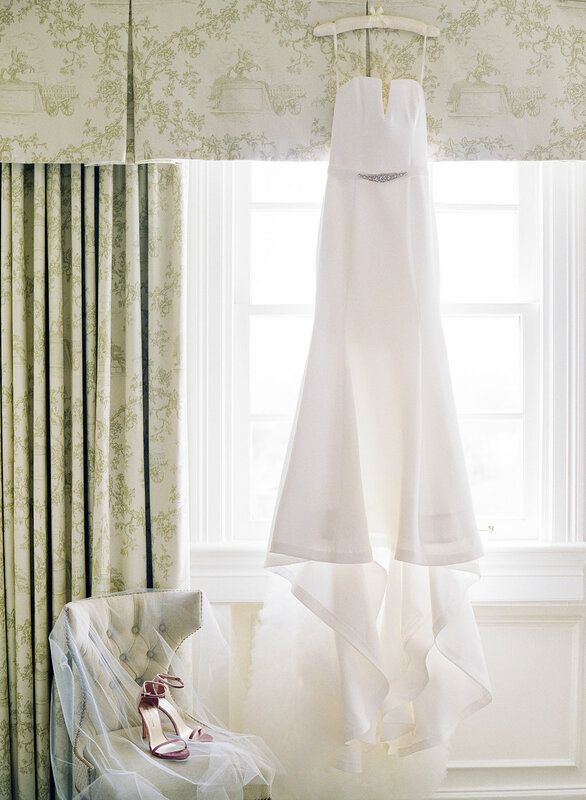 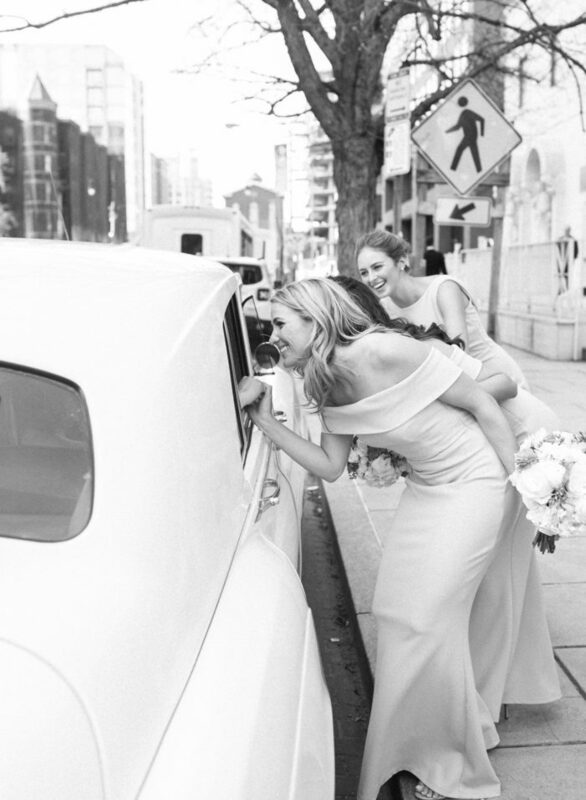 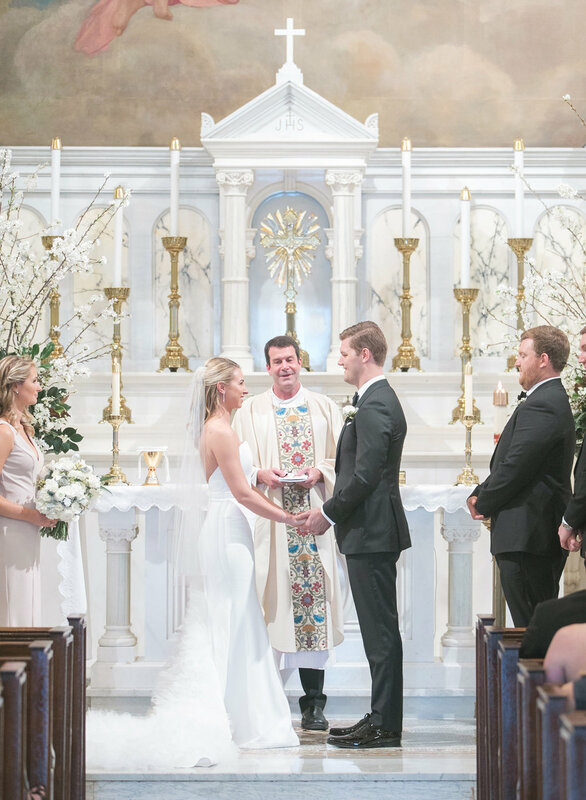 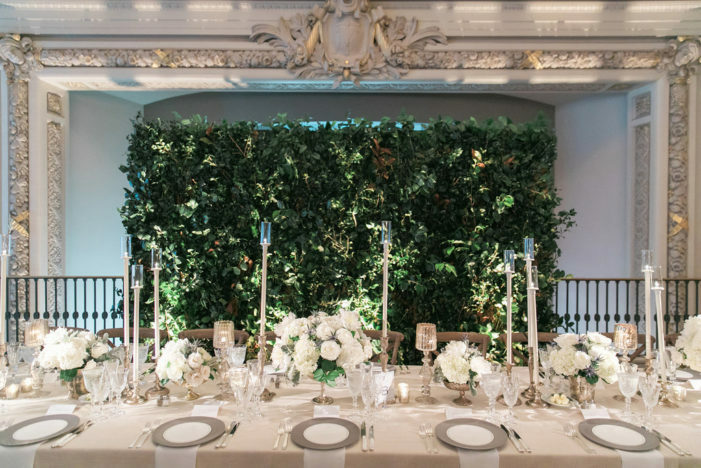 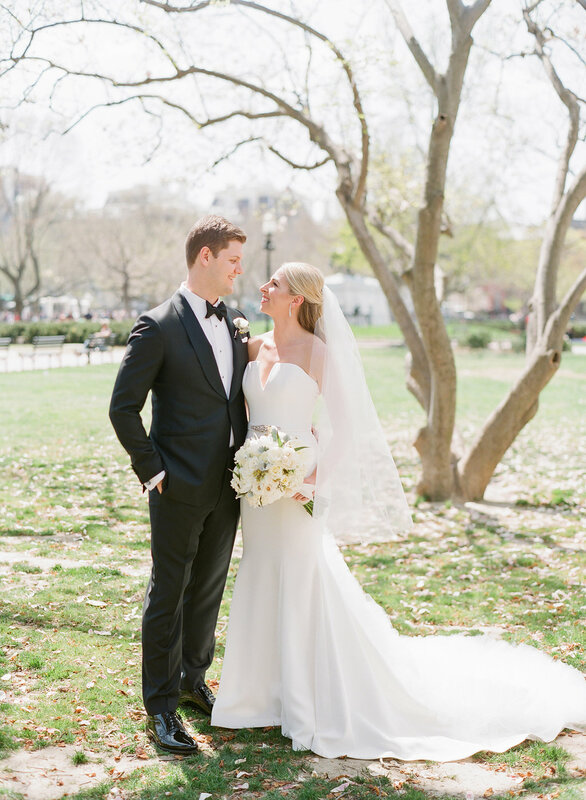 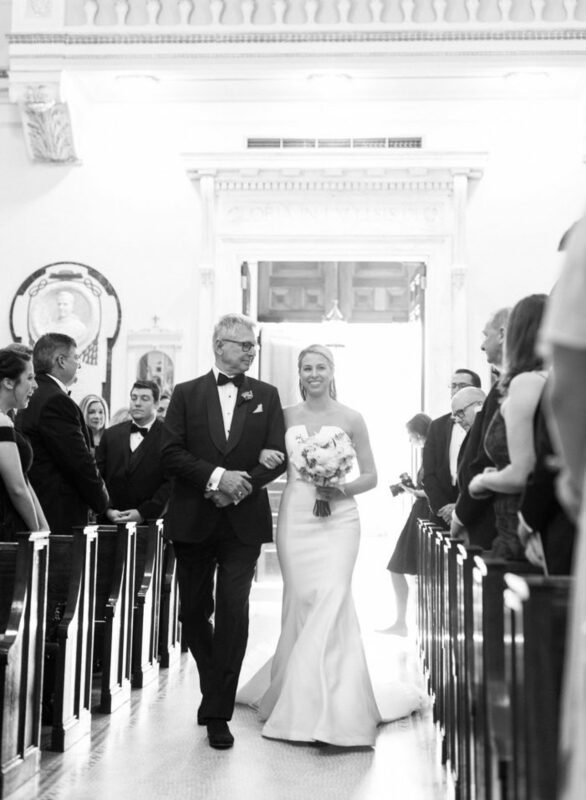 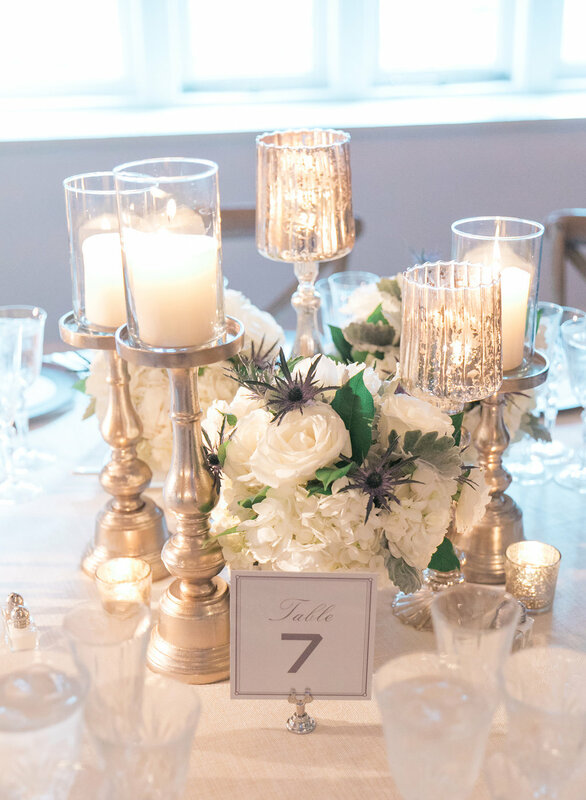 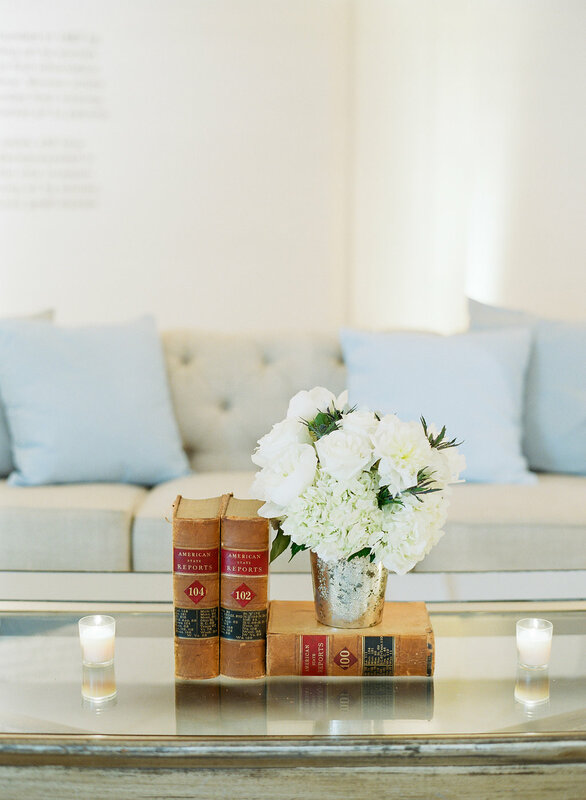 Thank you to A. Dominick Events for sharing this beautiful DC wedding with us today! Tell us about your favorite memory of the day. 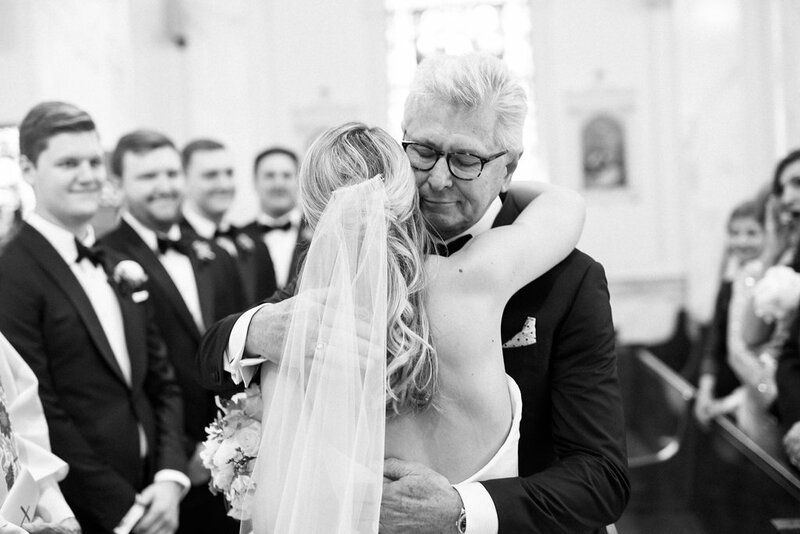 My favorite memory was just dancing and singing the night away with my new husband and all the people we love most in the world. 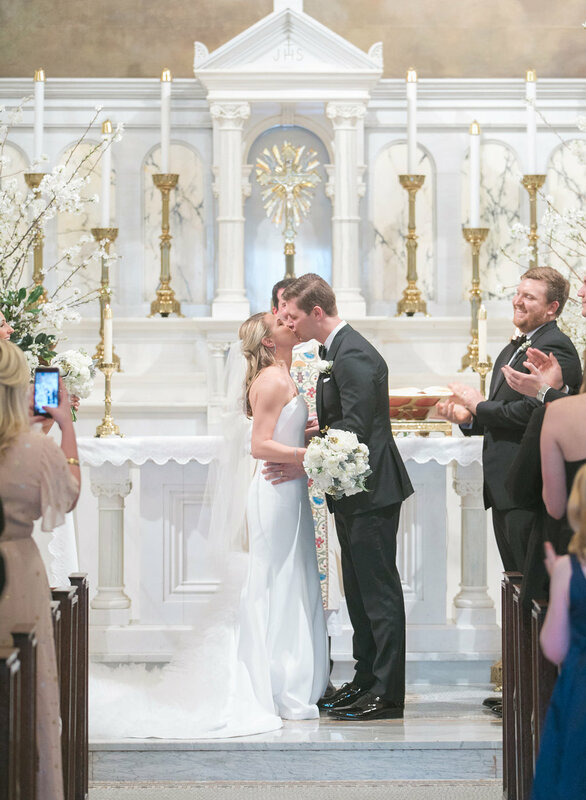 It really is a testament to how amazing our friends and families are for traveling to celebrate with us! 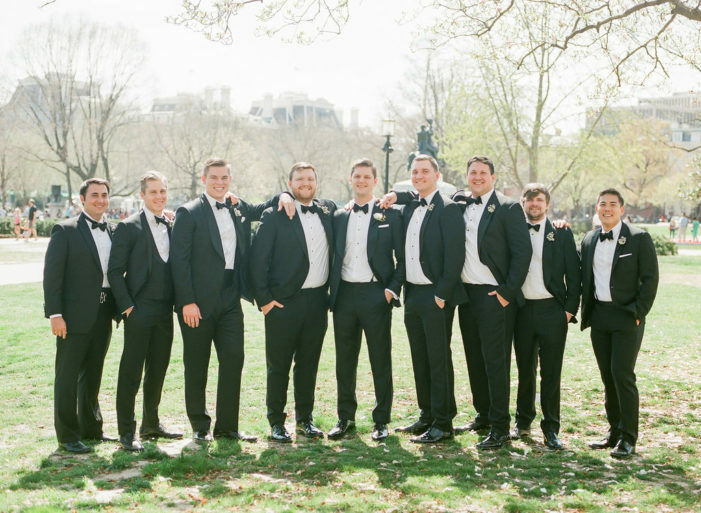 Although one of the the best parts of our wedding, was at the every end of the night when they played Wagon Wheel — a really special song to us and our friends — and every single person sang along together while Ben and I stood on a chair together surrounded by everyone. A great ending to a great night!